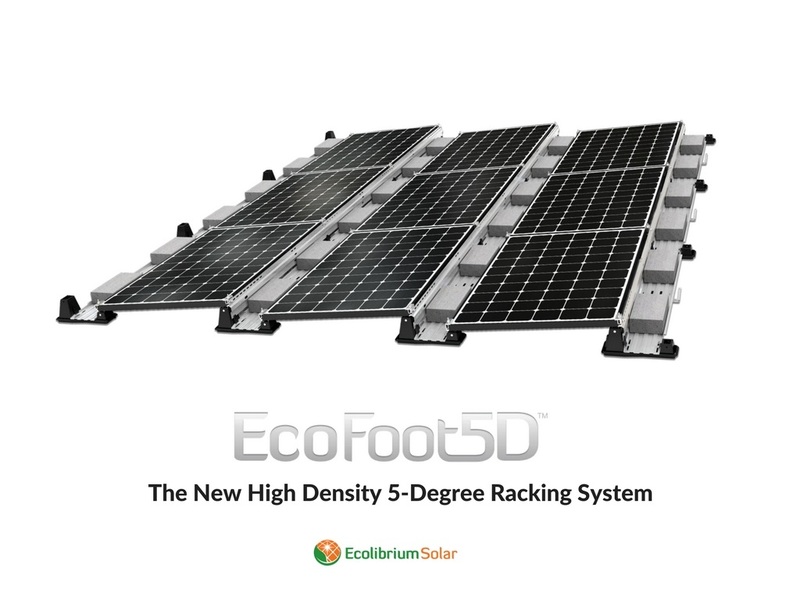 The new EcoFoot5D High Density 5-Degree Racking System delivers 18.4% more power than 10-degree systems by combining a small 7”x16.7” roof-friendly modular Base and dense 9.9” inter-row spacing. The result is a tightly packed array that enables installers to maximize power density on flat roofs. EcoFoot5D is built on the industry-preferred EcoFoot® Modular Platform with more than 200MW installed. Bases fall into alignment as modules are placed. Preassembled parts eliminate the need for PV panel preparation. The combined effect is an organized workflow and fast, non-stop installation. For pitched roofs, the new EcoX Tile Hook enables easy attachment of EcoX Rail-less Racking to tile roofs. Installers benefit from fast assembly, 30% fewer penetrations, and reduced logistics. Two height options attach to curved and flat tiles. Shingle, metal or deck mounting available.